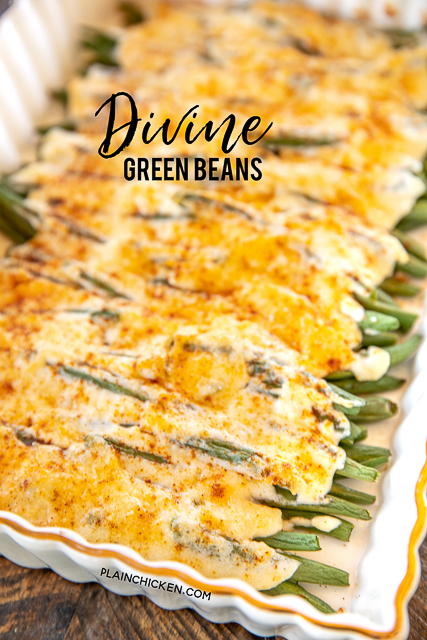 Divine Green Beans - only 4 ingredients! 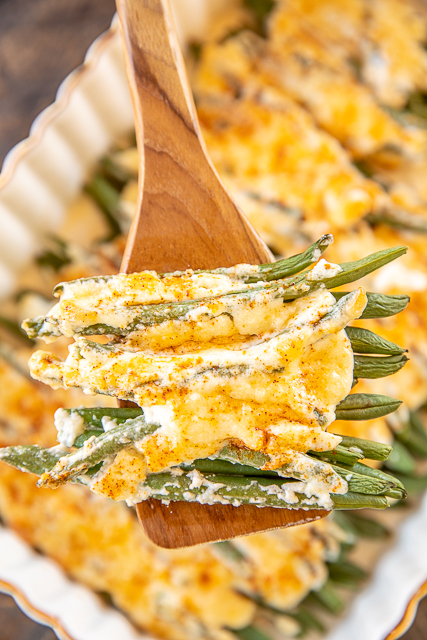 Fresh green beans, mayonnaise, parmesan cheese and paprika. Can add garlic salt too. Ready to eat in 20 minutes. We make this at least once a week! 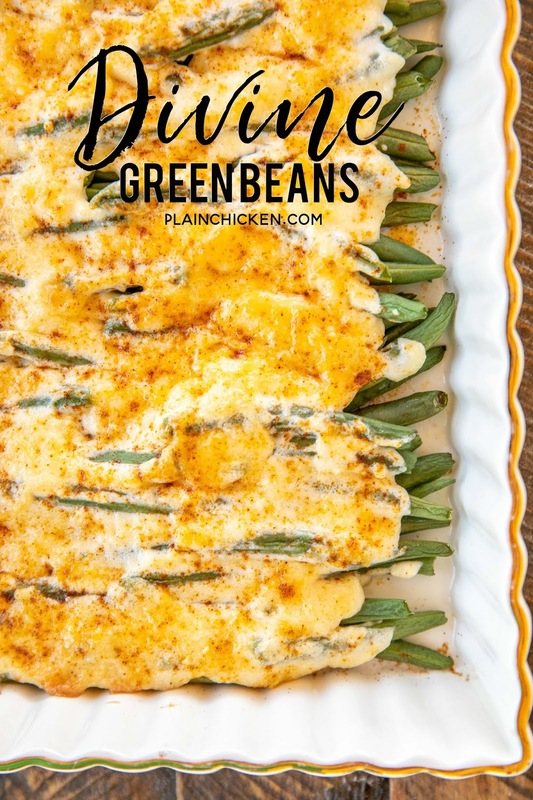 Our FAVORITE green bean recipe!! We LOVE these Baked Green Beans with Parmesan! We love green beans in our house, so I am always looking for new ways to prepare them. These Divine Green Beans are one of our favorites. With only 4 ingredients, they are a weeknight staple! SO simple and seriously delicious. Who knew four ingredients could taste so good?!??! PLUS these green beans are ready to eat in about 20 minutes. YASSS! These Divine Green Beans only take a few minutes to prepare. 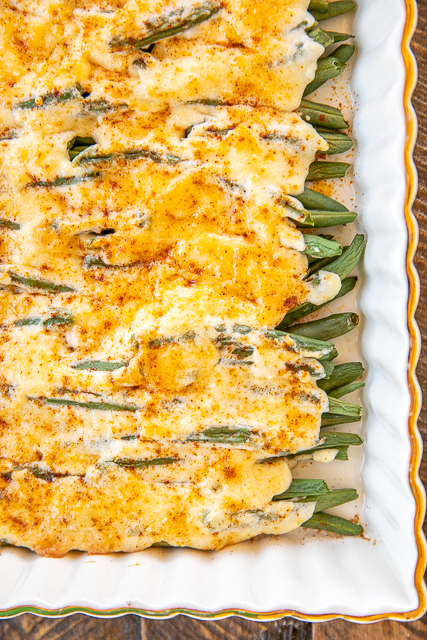 Trim the fresh green beans, put in baking dish, spread with mayonnaise and top with parmesan and paprika. You could even add a sprinkle of garlic salt. They were ready to bake before the oven even preheated. I love recipes like that! As I said, these Divine Green Beans are a weeknight favorite. SO much better than a can of green beans and almost as easy to prepare! These green beans are also great for dinner parties! It looks "fancy" but it is so easy! Don't tell anyone! It can be our little secret. Place green beans in a lightly greased 9x13x2-inch baking dish. Spread mayonnaise over green beans. Sprinkle parmesan cheese and paprika over mayonnaise. Bake, uncovered, for 20 to 25 minutes. Yum! i love green beans and garlic - would definitely add the garlic salt! can't wait to try these!